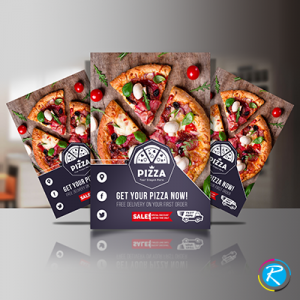 Flyers are the most popular and cost effective way of conducting any promotional drive. 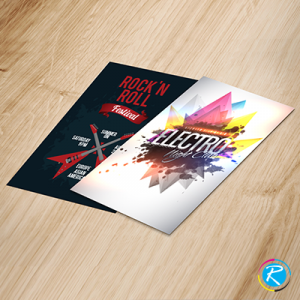 Probably, the most fascinating thing about flyer is its low cost of printing. 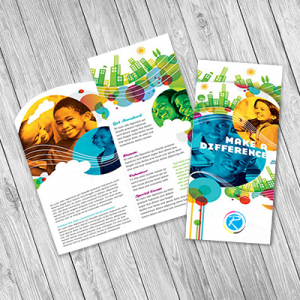 Owing to this, almost every commercial entity or social enterprise loves to get the flyers printed. They offer two fold advantage: their cost of printing is comparatively low and their success rate is quite high. Additionally, if you are able to design them with your brand in concept, the success rate and public appeal of the items increase a lot. 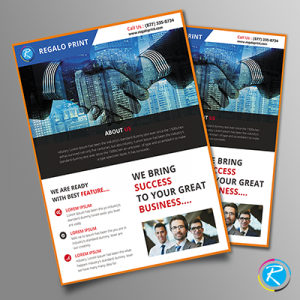 RegaloPrint is pleased to provide you quality flyer printing service as per your business and professional needs. 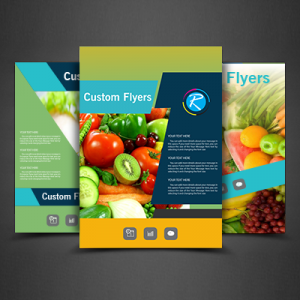 Here, we not only offer standard 4" x 6" and 8.5" x 11" flyers but also offer variety of customization facility. Employing state of the art CMYK/PMS printing process, we deliver stunning printing results for 80/100 lb glossy stocks. You enjoy added freedom of choice in terms of size, shape, design and content selection. There are 3 comparative advantages that RegaloPrint offers; first, you are given a wide range of products and shapes in various respects. Secondly, the cost of printing here is pretty lower as compared to the market average. Tertiary, the product range is pretty comprehensive, where you can get a wide range of printing solutions as per your needs. Last but not the least is bundle of FREE value-added services that make our flyer printing process more vibrant and customer friendly. We are pleased to offer FREE custom designing,lamination (glossy/matte), handling and product shipment to your doorsteps. The order placement process is very simple as you can get in touch with us via live chat, email and direct telephonic conversation. We are a 24 hour service; all you need is a comprehensive list of specifications for your products.